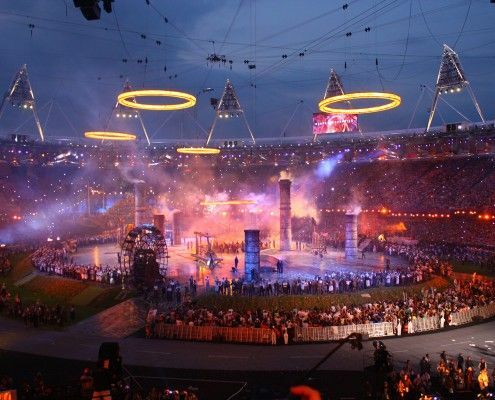 Objective: Provide a printed stage floor tough enough to withstand the rigours of 6 weeks rehearsals and production work for the London 2012 Opening Ceremony. Specific Requirements: Produce and install a custom printed floor of the River Thames with a timescale of three and a half weeks. 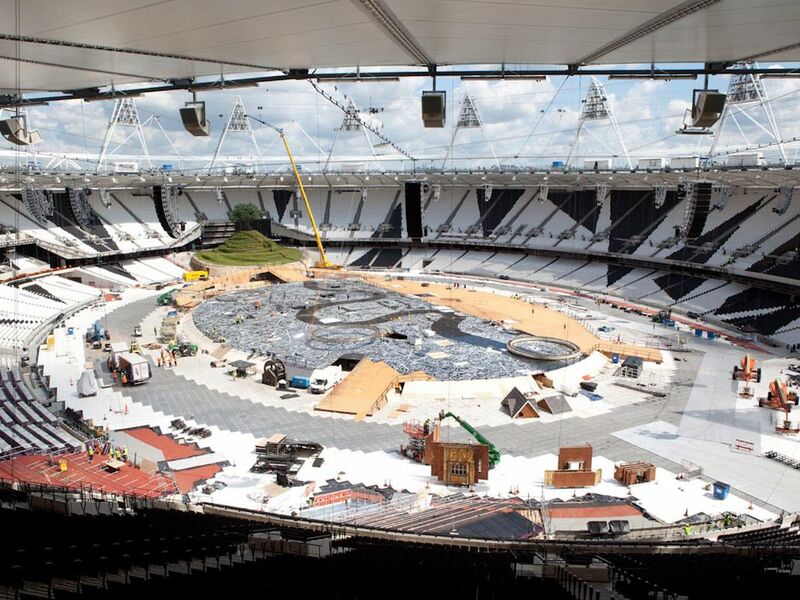 Creating the vast stage floor for the London 2012 Olympic Games opening ceremony required significant innovation. The huge raised central stage area was covered with a printed floor depicting a bird’s eye-view of the River Thames snaking through London’s East End. 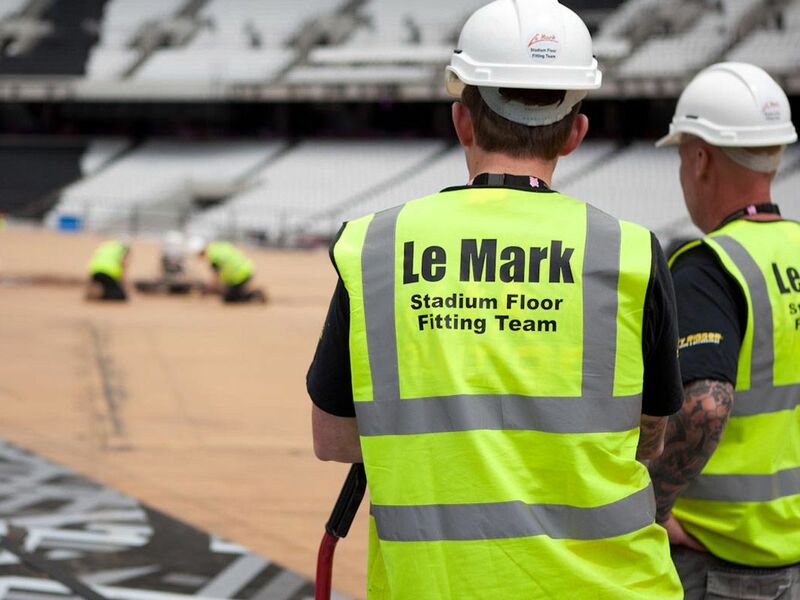 Le Mark had been working with the Ceremonies team for some time, providing samples of specialist flooring and running printing tests. At the beginning of April, Le Mark was given the go-ahead to source, print and install over 8,500m² of its black gloss Harmony™ gloss flooring. 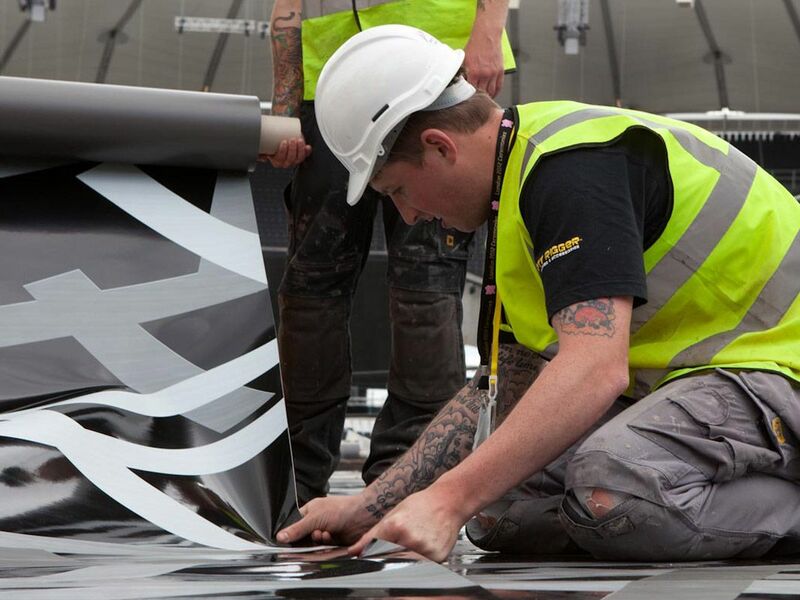 Led by project manager Dave Cartwright, Le Mark’s team first devised a print schedule: even with the modification of specialist machines and the instigation of round-the-clock shifts, printing the 440 13m x 1.5m rolls of flooring, plus all the extra cut-outs and specials that would be needed, would take five weeks. Later, with further modifications, this timescale was reduced to three-and-a-half weeks. 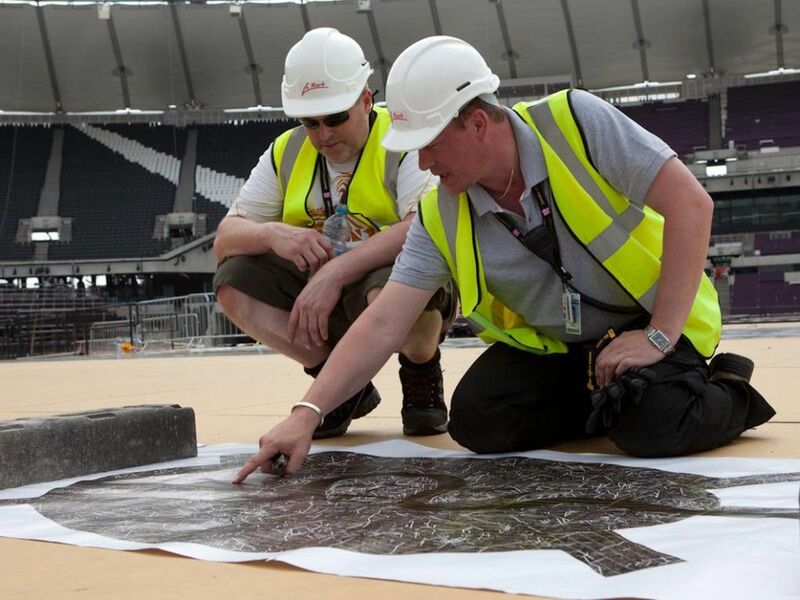 The final graphic was supplied just 10 days before the onsite installation was due to begin allowing no time at all for a dry run or room for errors. 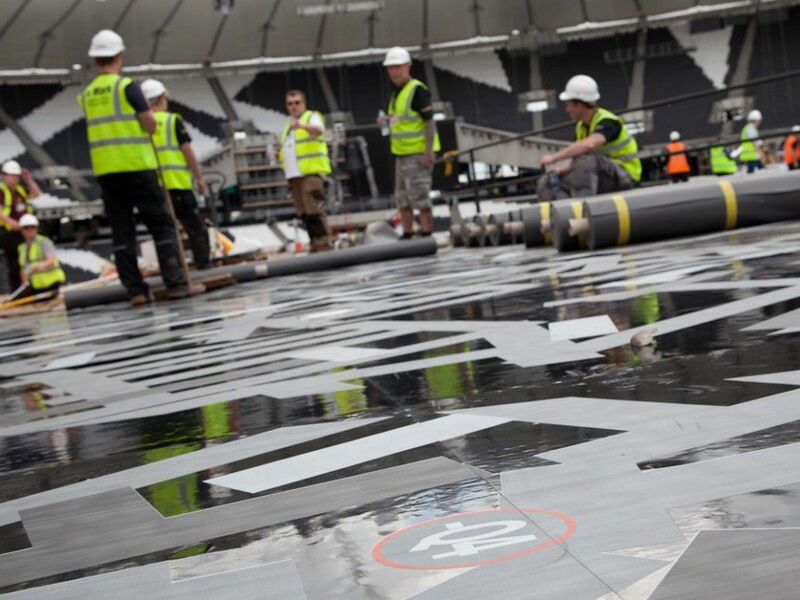 The flooring was laid onto the wooden sub-stage with a newly formulated permanent adhesive. 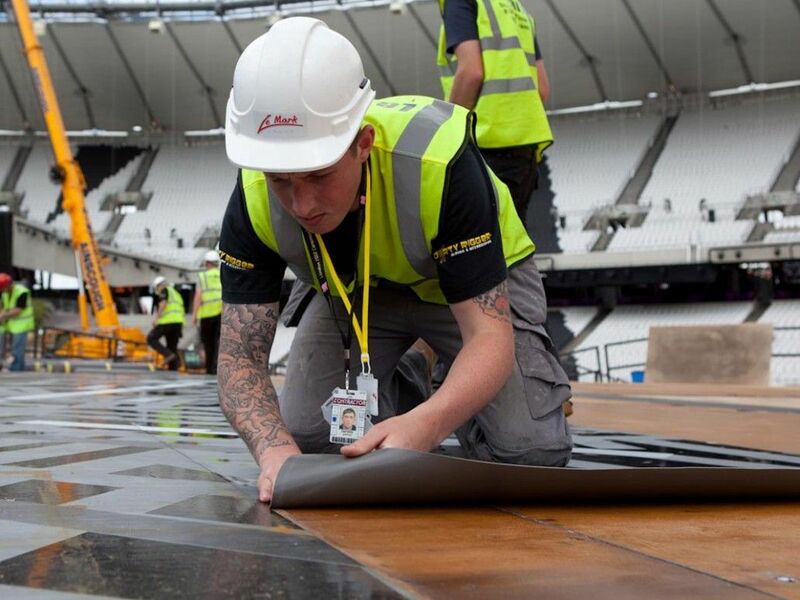 Le Mark had to source a specialist adhesive that met all of LOCOG’s environmental requirements – and those for floor adhesives in general – and that could be sprayed on: not only would this be quicker to apply, it would also form a thinner film which would cure more quickly. This meant using a water-based adhesive (the manufacturer included the encouraging caveat that it should not be used outdoors). 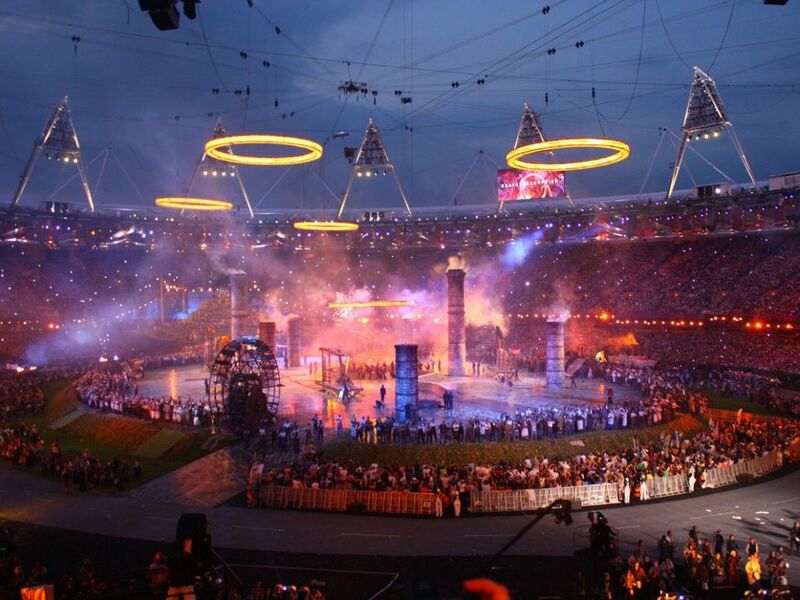 The installation was completed, on time and on budget, on 18 June 2012.